It seems weird that people still transfer files between each other using Bluetooth. Actually, most of Android users especially those who have got Galaxy Smartphones don't even know or ignore a very important feature. That feature is known for Wi-Fi Direct which allows users to go beyond the maximum speed of Data Transfer on their devices. What is Wi-Fi Direct Technology? It is originally known for Wi-Fi (Peer to Peer) Technology which allows devices to connect with each other without an access point. Apparently, smartphone users can benefit from it to share or transfer big files in an incredible speed that goes up to 250 megabits per second which is way faster than any other similar File Transfer methods. If we compare it to Bluetooth then results would noticeably differ for the benefit of speed and range regarding to the fact that it only has a speed of 3 megabits and and a range of 30 feet. 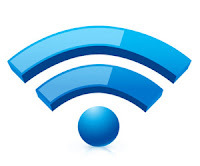 While Wi-Fi Direct already has a speed of 250 megabits and a range of 200 feet. 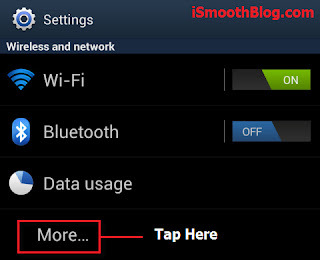 How to Enable Wi-Fi Direct on Android? 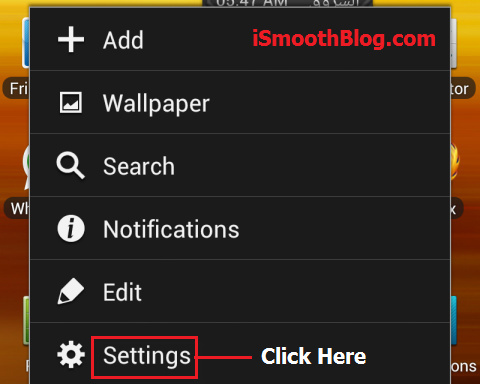 It is very simple and I am going to explain it in simple steps so just open settings on your device by clicking the Menu Button. 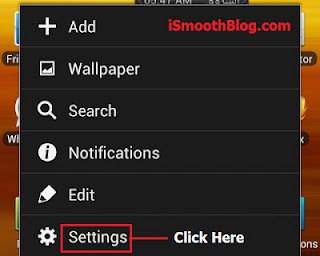 Once you have clicked the menu button of your device you would see that list of options and you are going to click on Settings (See Below). Now you are looking at the Settings Screen just find that word (More...) under the "Wireless And Network" tab then click on it. So that is the final step just tap on the Wi-Fi Direct option under the "Tethering And Portable Hotspot" tab to switch it on. How to Use Wi-Fi Direct for File Transferring? Once you have enabled the Wi-Fi Direct in your settings it will ask you automatically what device you are wishing to connect. What you are going to do is tapping on the device you want to transfer files to it (See Below). Well, now you just need to go to the file that you wish to send so just locate the left-bottom of the screen to click on "Send Via" button and choose Wi-Fi Direct like the picture below. The system will attempt now to scan for Wi-Fi Direct Devices automatically and you will have to choose the one you wish to transfer the file to it. To do so, just click on "Send To This Device" under the name of it.